“Scientists have gotten pretty good at sequencing DNA, determining the order of the bases in an individual’s DNA, but we’re not good at understanding what we see,” Chris Tyler-Smith, a geneticist at the UK’s Wellcome Trust Sanger Institute, told Singularity Hub. Even as whole-genome sequencing has become much cheaper, genetic research has continued to focus on the exome, or the tiny fraction of human DNA that codes the proteins that make up our physical structures. But according to a recent study published in Science and conducted by Tyler-Smith and others, the sources of cancer most often lie in the rest of the genome, once referred to as junk DNA. 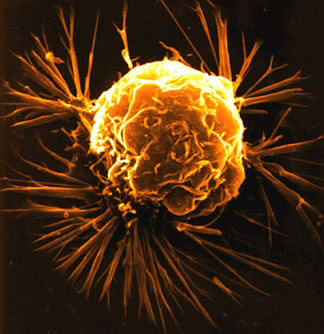 Cancer is, in other words, a very important needle in a very large haystack. The study also helpfully provides a roadmap to the spots in the genetic haystack that are most likely to give rise to cancer. By comparing data from two open-access genetic databases, ENCODE and the 1000 Genomes project, Tyler-Smith and his colleagues were able to identify parts of the non-coding genome that rarely show mutations. Such stability suggests that evolution does not smile on such mutations — in other words, they’re harmful.